The clam shell is a fantastic exercise for those suffering from knee and/or lower back pain, as well as those who are trying to avoid it in the first place! In fact, there’s research that correlates hip weakness and/or dysfunction with low back pain, knee pain, lower extremity pain, and a host of other maladies! This video will describe how to effectively perform the clam shell, and provide you with insight as to how clients and athletes will cheat or compensate during this motion. Try and really isolate the glutes. You should ONLY rotate from your hips, not from your lower back. Turn your torso down towards the ground slightly. Place your hand (or have them place their hand) on the back of the hip to faciliate gluteal function. A tip I picked up from Charlie Weingroff that I’ve been using – get their neck in neutral! A foam roller or Airex pads will work well here. This exercise looks extremely simple, but the devil is in the details. Do it right, and then re-build tri-planar strength and stability with quality single-leg training. If you’re interested in learning more about knee and lower back health, you’ll definitely want to pre-register for the Bulletproof Knees and Lower Back seminar DVD’s which we’ll be launching next week! I’ll provide the link below. Thanks Mike, great video. Clam shells are something I need to be doing (I have lateral pelvic instability). How often should this movement be performed and how many reps do you prefer? I like to do it more frequently with less volume – something like 1-2x/day for 1-2 sets of 8-12 reps. Thanks Mike. Hope you are feeling better! You can always prop a client against a wall so they learn what it feels like to only use thier glutes and not their lower back. Absolutely Josh – I always forget about that one! Great video mike. I agree, people that are weak, which is common, are going to rotate their body and compensate with their trunk. 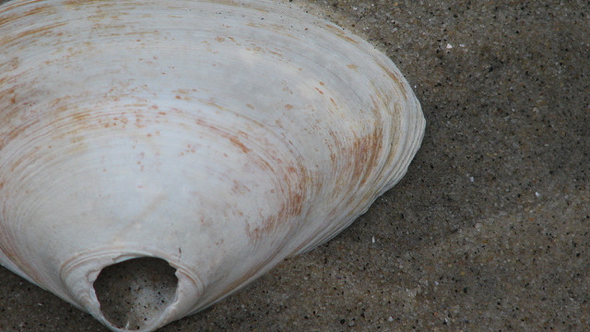 I am working on an article of essential exercises and clam shells are definitely one of them! BTW – definitely loving the new site. GREAT WORK! Hi Mike, I’ve also seen this done with a mini band around the ankles. Do you ever do it that way? Would you recommend it (and if so when) or not recommend it be done that way? Absolutely Mary – I’ll use either a band or ankle weights around the knees to increase the load. Just make sure you’re not cheating and using your low back to rotate! Great video and instruction. What would you recommend to someone who has to stop this exercise due to pain in the lower leg, near the ankle? It’s also felt during side lying straight leg raise. Thanks!